Mark’s travel assignments have taken him to 51 countries. 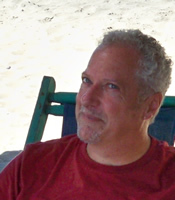 He’s well-known in travel trade circles for his coverage of the Caribbean, Hawaii, Mexico, the South Pacific and Asia, as well as California, where he is based. In 2005 Mark won back-to-back awards for his writing: the CTO Worldwide Travel Writer/Photographer Award for Best Feature Article in a Trade Publication, for his cover story on St. Lucia in Travel Agent magazine; and the Marcia Vickery Wallace Memorial Award for Travel Journalism, which is given to only one writer each year, presented by the Jamaica Tourist Board for his Hurricane Ivan coverage. She is also a contributor to many island-based magazines including Aruba Events, Curacao Events, Experience St Maarten, Jamaica Tourist, Experience Bermuda, Preview St.Kitts/Nevis, Nights St. Maarten, Aruba and Curacao and Chef’s Menu in Aruba. 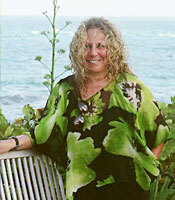 Recent projects include contributions to the 2011 JHTA "Our Jamaica" book and the 2011 AOL Travel Guide to Kingston. 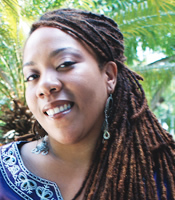 Melanie is also the humble recipient of several Caribbean Tourism Organization writer awards and the JTB Writer of the Year (2009). When she’s not racing through airports to catch flights to the Caribbean, you’ll find her in her backyard garden in Montreal growing the hottest scotch bonnet peppers this side of Montego Bay. Nicole has over 15 years of industry experience and a portfolio of work ranging from print art direction, to interactive design/programming, to web development. Her freelance clientele is extensive... Ogilvy Worldwide, Royal Caribbean, City of New York-Parks & Recreation, South Africa Gov’t Tourism, and Essence Book Publications are only a few. She holds a B.F.A. from The School of The Art Institute of Chicago (Fine Arts); M.A. from New York University (Interactive Media/Caribbean Studies). 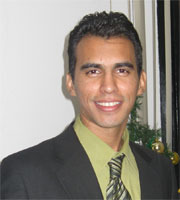 Axel is a computer engineer with knowlegde of desktop and Web application development, networking and databases. As a full time employee at a software development company, he is in constant touch with technologies. His experience ranges from administrative tools to enterprise business solutions. Sophy Farnad is our Latin America coordinator and an invaluable resource in bridging the gap between cultures. 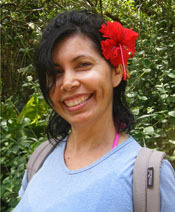 A native of Sonora, Mexico and now residing in California, Sophy is also spearheading the translation of go! Destination Marketing’s Spanish language versions of our Caribbean & Latin America Inside Track apps.